The currents of influence that have shaped Istanbul for thousands of years continue to flow today in the only city in the world situated on two continents. At this crossroad the ´Queen of Cities´ has sat while Arabic, Persian, and European waves of influence surged and receded. In these tides Onur Özer was born and raised and in his coming LP ´Kaşmir´, they all come radiating through. The debut album for both, Onur and Vakant, ´Kaşmir´ presents the musical world Onur was surrounded by, from the mystical Arabesque and Turkish art music, to the deep synthetic pulses that come through the drivers of some of the world’s biggest sound systems on which he plays. Together they melt drifting ideas left and right, east and west, moody to motivated, Onur expresses the music which unexplainably comes out of him sans musical training with textures widely varied. Orchestral instruments in an array of treatments express the tracks’ melodic voice while modern rhythms and underpinnings drive the ideas home to the dance floor in a style expressly his. Onur’s developmental years were spent listening, not playing an instrument. The melodies and harmonies he composes today are a result of those he heard, interpreted, and ´somehow´ able to spontaneously play. Club development came way of the Istanbul club scene starting from 1999, close to the time Onur began producing music. 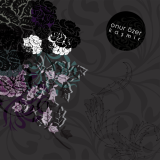 From 1999 to 2004 tech and minimal house thrived in Istanbul as did Onur’s position in it. He exported his sound via DJ performances first then by way of Vakant with 3 acclaimed 12” EP’s ´Envy´, ´Twilight´, and ´Red Cabaret´. Recently Onur Özer live also evolved as a more direct tool to express the fusion of sounds in his ears to the audience. On this full length listening experience, Onur and Vakant come together again each uniquely expressing the style they have become known for as staples of expanding and far reaching club sounds. ´Kaşmir´ is a vivid mind melt of intersecting thoughts and movements in synergy, venting from a sweltering ancient yet modern melting pot. With this album, Onur has funneled the currents that have shaped his hometown together into one truly exceptional torrent.